Order cake online in Ahmedabad or send flowers to Ahmedabad from Wish A Cupcake and get free home delivery to Ahmedabad. Looking for a delicious cake in Ahmedabad, or want to send flowers to Ahmedabad? Wish A Cupcake offers premium quality cakes and flowers delivered to your doorstep. Order a freshly baked cake or flowers for delivery across Ahmedabad. Our bakery products now come in eggless cake options. Our home delivery services make it easier than ever for you to order a cake online, or buy flowers online. 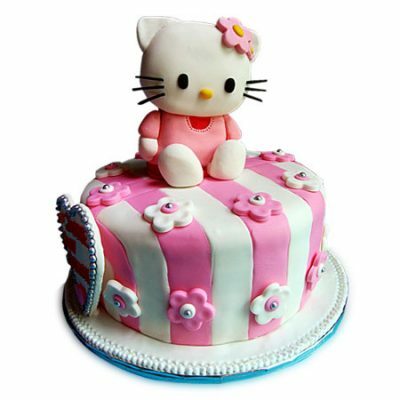 Wish A Cupcake offers one of the best and top quality cakes in Ahmedabad and flowers in Ahmedabad. Our attention is towards excellence and freshness of cakes and flowers. Daily discounts are available on our collection of cakes and flowers meant for all occasions and events. You’ll be able to purchase your cake online for delivery in Ahmedabad, and also send flowers online in Ahmedabad. Place your order now for delivery anywhere in Ahmedabad! Same day cake delivery. Send cakes to Ahmedabad. Buy and send a cake to Ahmedabad with Wish A Cupcake. We offer free home delivery of cakes in Ahmedabad. Feel free to order a birthday cake, wedding cake, corporate cake, anniversary cake, cake for parties and special events. Our online cake delivery services ensure same day and midnight cake delivery in Ahmedabad. Buy and send flowers to Ahmedabad with Wish A Cupcake. We offer free home delivery of flowers in Ahmedabad. Feel free to order flowers for birthdays, flowers for weddings, corporate flowers, flowers for anniversary, flowers for parties and special events. Our online flower delivery services ensure same day and midnight flower delivery in Ahmedabad. Occasions are made special with sweet desserts like cakes and Wish A Cupcake understands it very well. Since all special moments contribute to memories, you can make these days extra special with our exclusive range of cakes. we have come up with a diverse collection of regular cakes such as chocolate truffle cake, black forest cake, vanilla cake, pineapple cake, butterscotch cake and fruit cake. Send cakes to Ahmedabad online with our express delivery. For occasions like Birthday, Wedding, Anniversary, Father’s Day, you can order cake online in Ahmedabad on any day from our online web portal. Our same day cake delivery option will allow the user to place the order from any part of the world. Our exquisite range of cakes is sure to enhance the delight on your loved one’s face. Get a special cake online delivery in Ahmedabad by following simple steps and get the effortless and hassle-free delivery right at your doorstep. We have been delivering cakes to more than 500+ cities across the country. Our baker’s team have years of experience and the excellence of providing the best cakes to our customers. If you want to enjoy a luscious cake that is hygienic and scrumptious at the same time, then look no further. Wish A Cupcake has come up will an extensive array of delectable cakes with mouth-watering flavors. We deliver cake to top cities like Delhi, Mumbai Pune, Chennai, Bangalore and many others. We cover all the prime locations of Ahmedabad to ensure quick delivery of your cakes to your beloved. In case you have any query or suggestion that you want to share with us, please feel free to speak to our customer care representatives. We will be happy to assist you. Happy ordering!